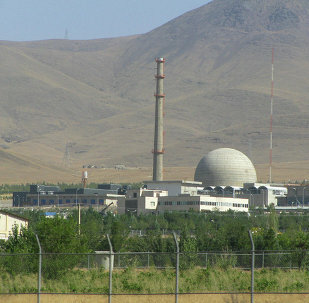 After the July 14, 2015 comprehensive nuclear agreement was signed between Iran and the P5+1 group of countries, Tehran and the IAEA reached a separate “roadmap” agreement to improve IAEA access and information about possible military dimensions of the country’s nuclear program. The United States has previously raised concerns about the Parchin military facility, alleging there was evidence the site was being used to develop a key component for a nuclear weapon delivery system. US President Donald Trump’s words on Iran’s alleged failure to comply with the Joint Comprehensive Plan of Action’s (JCPOA) are not worth paying attention to, Iranian Foreign Minister Mohammad Javad Zarif said Wednesday. US complaints over how the nuclear deal on Iran is being implemented are irrelevant, he head of the Russian Foreign Ministry’s Department for Non-Proliferation and Arms Control, Mikhail Ulyanov, said Thursday. A treaty on Iran nuclear program cannot be changed at this point, the head of the Center for International Education and Research at the Iranian Foreign Ministry said Wednesday, shortly after it became known that US President Donald Trump ordered a review of the deal. After 90 days, Donald Trump will receive a report on the Iranian nuclear deal and the suspension of sanctions. Signing the nuclear deal in 2015 pave the way for a new chapter in relations between Paris and Tehran, Iran's ambassador to France said. Tehran warned that exerting pressure on Iran could be the worst scenario that Washington may choose. 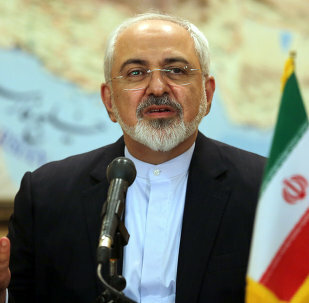 Iran plans to discuss US violations of the deal ensuring peaceful development of Tehran’s nuclear program at an upcoming meeting of the commission on implementation of the agreement, Iranian Foreign Minister Mohammad Javad Zarif said Friday. Tehran suspects three countries of being behind the leakage of secret documents on the Iranian nuclear program, Iranian Atomic Energy Organization (IAEO) spokesman Bahrouz Kamalvandi said on Sunday. 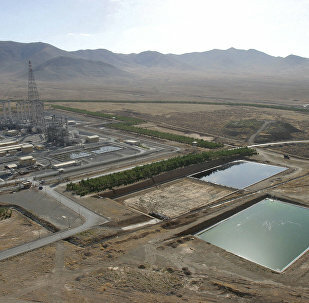 Moscow and Tehran are close to signing a deal on the sale of 40 tons of Iranian heavy water to Russia, head of Atomic Energy Organization of Iran (AEOI) Ali Akbar Salehi said Saturday. Certain European countries have said that they are ready to buy 20 tons of Iran’s heavy water, Head of the Atomic Energy Organization of Iran Ali Akbar Salehi said Tuesday. 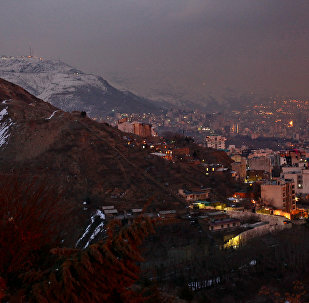 The Iranian parliament has given preliminary approval to a bill requiring the government to sue the US for the damage the country suffered as a result of US' hostile moves over the past 63 years, IRNA news agency reported. Global investments have not increased to the extent Iran expected after the international community lifted the nuclear-related sanctions in October of 2015, Center for a New American Security Senior Fellow Elizabeth Rosenberg stated in a congressional hearing on Thursday. International banks may do business with Tehran under the terms of the Iran nuclear deal, US Secretary of State John Kerry said. European banks are permitted under the terms of the Iran nuclear deal to engage in transactions with Tehran, US Secretary of State John Kerry said on Tuesday. Iran is in talks with US and Canadian oil companies on a number of projects in upstream and midstream stages of the country's oil and gas industry, local Mehr news agency reported Tuesday. The United States would not have have been able to stop Iran's nuclear weapons program without other members of the P5+1 group, US Ambassador to the United Nations Samantha Power said in an address to the US Naval Academy.